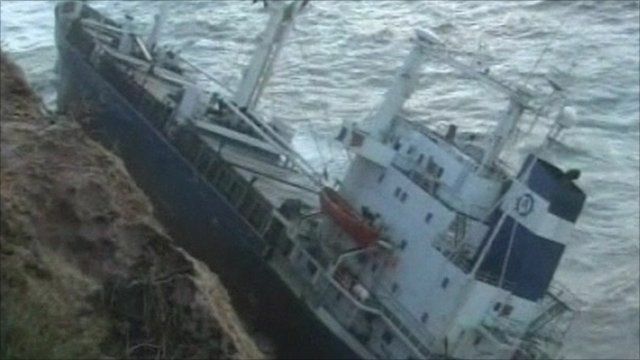 One person is missing after a cargo ship crashed into coastal rocks in Turkey on Friday, according to local news authorities. All 17 of the remaining crew were evacuated and taken to hospital after the Seabright ran aground during stormy weather. The ship faced 90km per hour winds and waves of up to four metres, say meteorological reports.